I am considering ordering this dress for my bridesmaids. Can you tell me who is the original designer of the dress. I am wanting one of my girls to try it on before we order it. She's more top heavy. I would like to say that I am very pleased. I was so nervous about buying a dress online that I was having dreams that it was all sorts of colours and shapes. But it arrived exactly like the picture. The dress arrived quickly and not one wrinkle. Very well made. Very impressed...I would purchased from this vendor again. 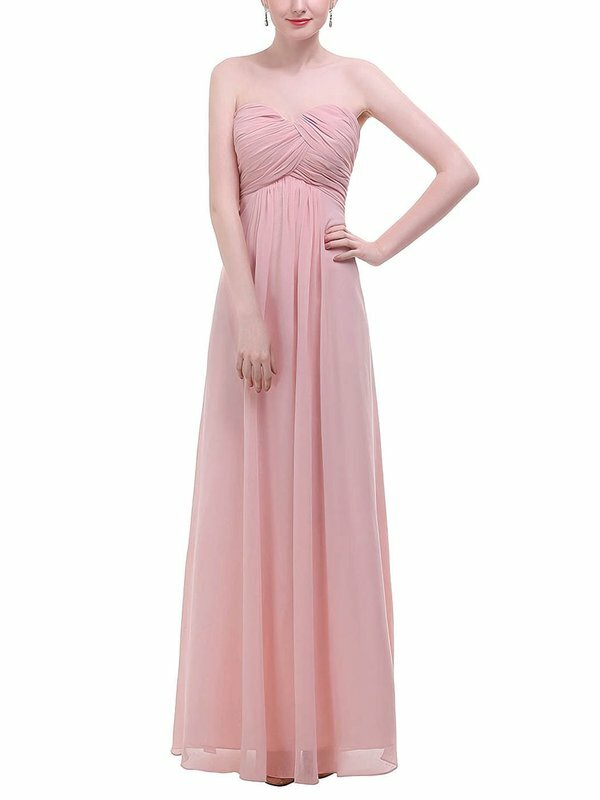 I ordered this dress for my daughter's wedding events, the style is perfect for my body shape. I was delighted when I saw how well it fit. I highly recommend this company to anyone. The dress runs small but as long as you pay attention to the size charts provided you should be fine. It was perfect, I got a lot of compliments on it. The only thing that bothered me is I had to order a size 20 when I usually wear a size 20. I would still give it 5 stars! I ordered based on the size chart and reviews that it ran small. The one I ordered was too large but I am really impressed by this dress, it's silver and very well made, it's beautiful.Now I'm looking for a true formal event I can attend so that I'm can wear this dress. Amazing! I ordered one size larger than I would normally expect to wear, and it was perfect. 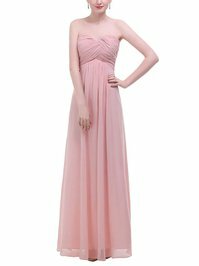 I had it professionally hemmed and I have to say that it was comfortable and lovely.